Facebook Live and Facebook Video are two of the most pivotal segments of Facebook’s continuously growing suite of services. Brands and publishers are finding new ways to use the platform and tools to engage their customers and build brand awareness. If you're looking to improve your social media engagement, then holding a Facebook live session is what you need to do. 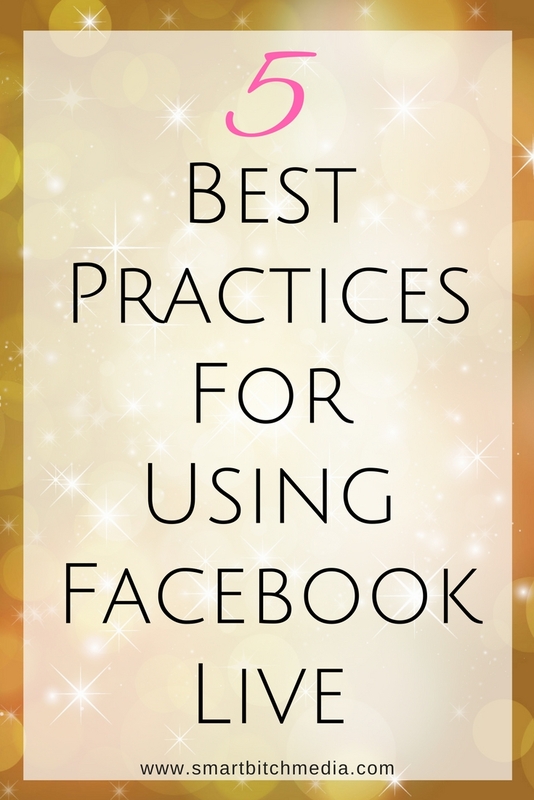 Below are my 5 best practices for using Facebook live. Whether you're a zoo keeper or a fashionista, provide content that is unaccessible anywhere else. Maybe you have an ebook. Offer a bonus not available on the ebook. Host an AMA (Ask me Anything), Q&A session or a behind-the-scenes session. 5-20 minutes is more than enough time to hold your live session. Do more than 20 minutes and your audience will navigate elsewhere. The one thing I hate the most is not receiving a heads up when someone I follow on Facebook decides to do a live session. The best way is to post an image with information about your live session at least 24 hours prior. This will also encourage sharing of your post. And who doesn't want shares? Facebook Live was created for interaction. Ask your audience questions(maybe even ahead of time in your pre-live post) and acknowledge them as they join you. What should the viewer do once your video is over? Subscribe to a newsletter? Purchase tickets? Share the video? After your broadcast, you can save the video to your camera roll giving you the chance to share the video elsewhere, like on YouTube, Vimeo and your blog.